With less than four months until the start of the 21st SI Convention from 18-21 July in Kuala Lumpur, we would like to introduce Loretta Mayer, who was awarded the 2003 American Heart Association’s Jr. Investigator Award for Women and the 2004 Glenn Foundation Endocrinology and Aging Award for her work in the field of heart disease in women. She will be one of the plenary speakers in Saturday’s session ‘Women Leading in Technology and Innovation’. 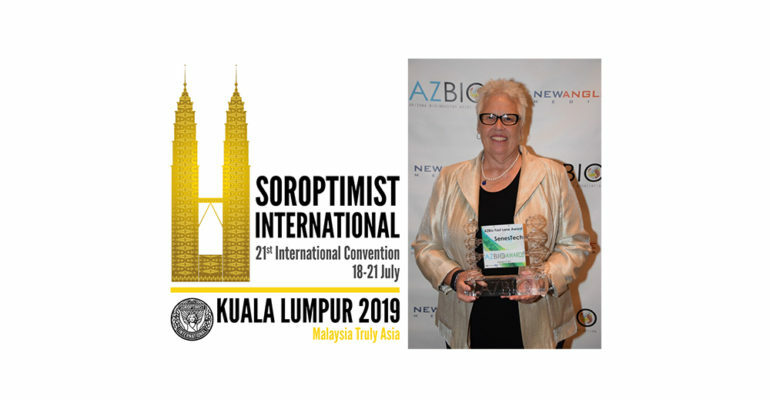 Read all about the programme on the SI Convention Kuala Lumpur 2019 website: https://siconventionkl2019.org/. You can register there too – this is an event you don’t want to miss! Dr. Loretta Mayer is a founder of SenesTech and a member of the Board of Directors. She has served as Chairman of the Board since 2004 and Chief Scientific Officer since 2009. She is co-inventor on the patents that form SenesTech’s core technology. As Chief Scientific Officer, she is responsible for ensuring delivery of quality research, products, and services. After 20 years in a business environment, Mayer earned both Master’s (1997) and Ph.D. (2000) degrees in Biology from Northern Arizona University. She accepted a post-doctoral appointment with the College of Medicine at the University of Arizona in 2000, and it was there that she developed a chemical method of inducing peri- and post-menopause in rodents in collaboration with her post-doctoral mentor Dr. Patricia Hoyer. Apart from the rewards mentioned above, Mayer also received the 2011 Rotarian Humanitarian Award for her work in India.